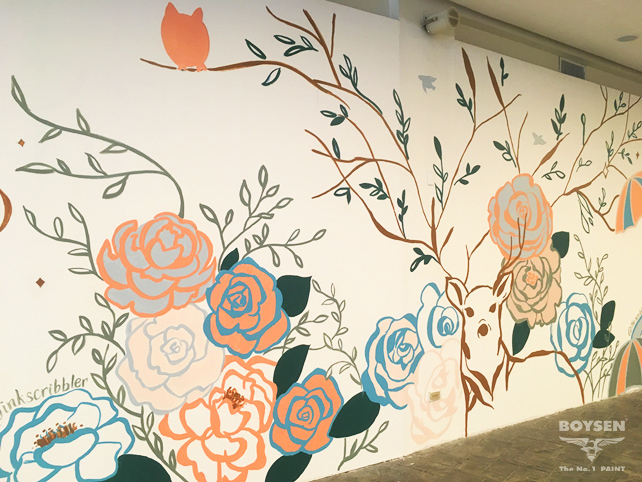 Thanks to this community of young artists, the empty white walls of Greenbelt 4 are no longer lifeless barriers simply used for shielding renovations. 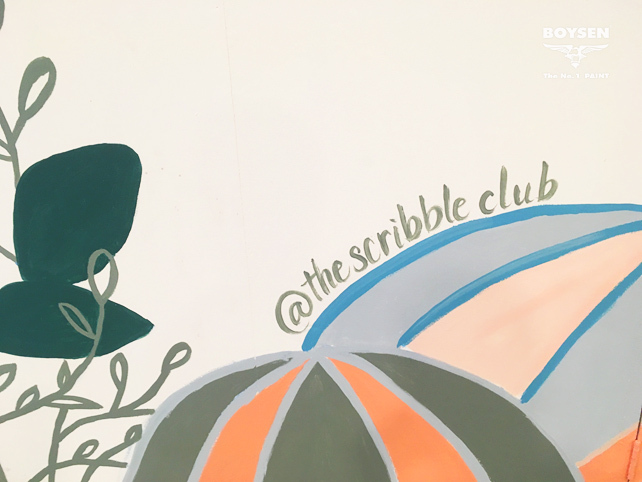 @thescribbleclub filled the vacant walls with bright and colorful illustrations that would make even the most jaded passersby smile. 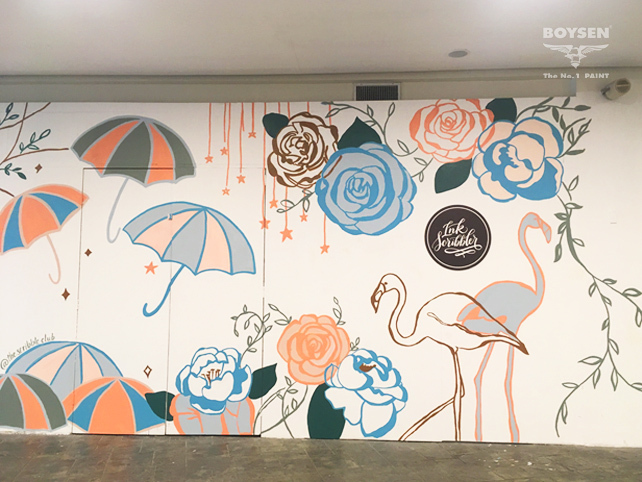 The murals are paintings of flowers, umbrellas, unicorns, stars, and birds, seemingly straight out of a child’s dream. 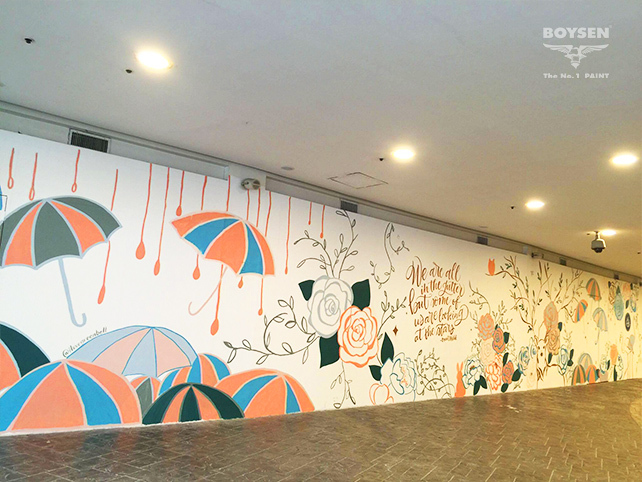 The color palette consisting of pastel shades from Boysen add to the whimsicality of the group’s creation. 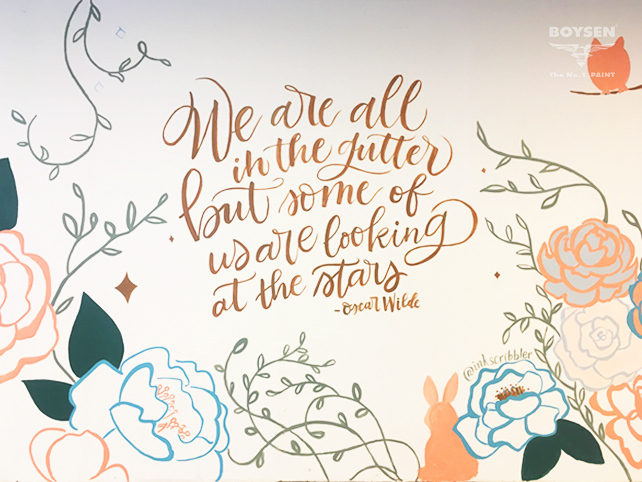 Quotes by Irish playwright Oscar Wilde and American film producer Walt Disney were also intricately painted on the walls in contemporary calligraphy. 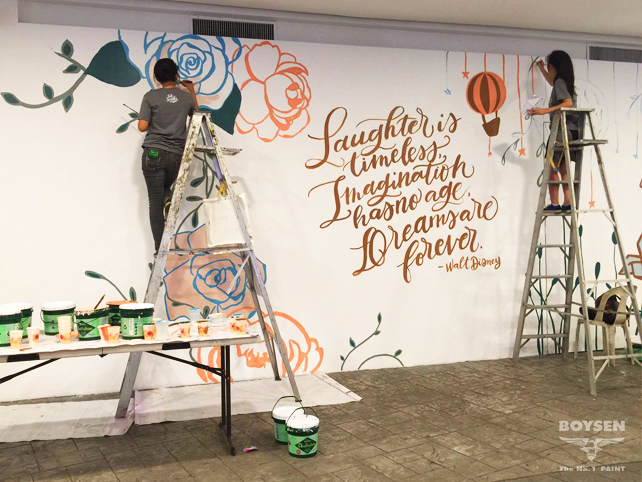 Ink Scribbler is “The first calligraphy design firm in the Philippines,” according to their Facebook page. The mural in Greenbelt 4 was painted by volunteers in their thriving community. Who says minimalism is a solution to everything? Sometimes a splash of color and irregularity is necessary to liven things up. Kai is a university student who loves travelling and learning about new cultures. His interests lie in the visual arts such as film, photography, and design. He also practices ashtanga yoga. I think this is still called minimalism!